Check our current specials on power tools from Bosch, Skil, Hitachi, Black & Decker & more. 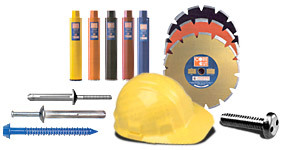 Let G&S pros handle all of your contract cutting & drilling needs. G&S Fastening Systems, Inc. is a leading distributor of fastening products and tools, serving construction and industry in Eastern Pennsylvania and the surrounding areas for more than 35 years.